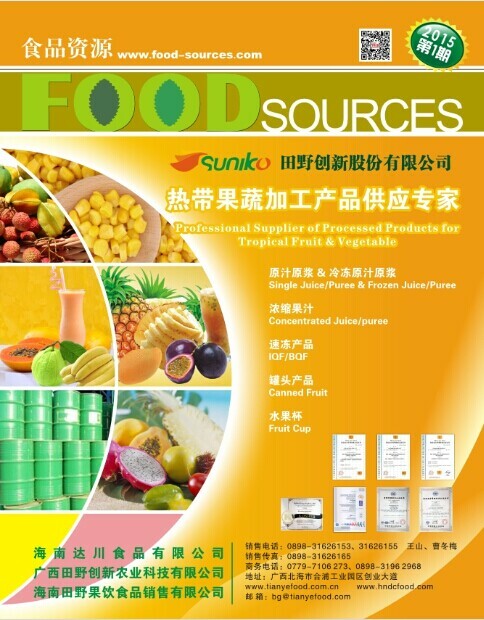 Hongzui Agriculture Hi-tech Development Co.,Ltd. 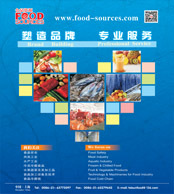 Shenyang Lufeng Food Co., Ltd.
Henan Zhiyuan Food Co., Ltd.
Ningxia Laoheqiao Halal Meat Ware Co.,Ltd. Qingdao Lulin Dehydrated Vegetable Co., Ltd.
XingHua MeiQuan food Co., Ltd.
Jinxiang Huaguang Food Import&Export Co.,Ltd. XIAMEN BAOLINTAI SEAFOOD PRODUCTS CO., LTD.
Qingdao Jiulong Foods Co., Ltd.
Jiangxi Hengxing Food Co., Ltd.
North Supreme Seafood (Zhuhai) Co., Ltd.
Ruijin Hongdu Aquatic Food Co., Ltd.
Baihui Yandu Food Co., Ltd.